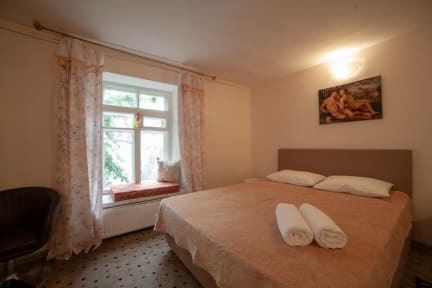 Located 550 meters from Deribasovskaya Street and 700 meters from the Odessa Opera House. Salve offers rooms with free Wi-Fi. Situated in Odessa within 500 m of Duke de Richelieu Monument and a 7-minute walk of Odessa Theater of Opera and Ballet. It is a 9-minute walk from Odessa Archaeological Museum, the hostel is also 1.8 km away from Port of Odessa. 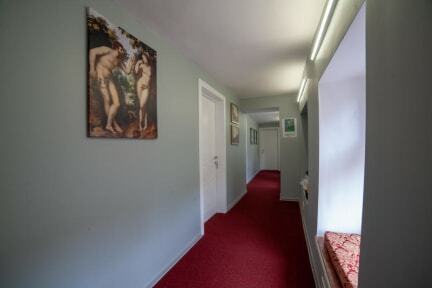 The property is situated 10 km from the Odessa catacombs and 400 m from Odessa City Garden. Salve Casa is a small guesthouse and it offers four private rooms, for all residents are available two showers and two toilets. Two standard rooms of 10 square meters, two rooms of 17 square meters. Reception times: 7:00 - 23:00.